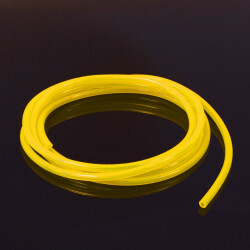 This transparent yellow high tech tubing is totally resistant to Petrol, Diesel and Kerosene. Very flexible, UV and Ozone proof, does not swell or harden, totally different from clear PVC-tubeing. TYGON® yellow tubing is ideal for petrol engines and turbines.